If you created a Google+ Business Page, you may have noticed recently that after all of your hard work to customize your brand page that there is a duplicate generic Google+ listing for your business. Search results often default to the generic listing which is actually a local business listing on Google Maps. The separate listings are confusing for customers and a lowered trust factor for your business. Fortunately, Google has now enabled you to combine a Google+ business page with the generic listing which is actually a local business listing on Google Maps. This doesn’t allow multi-location businesses to associate a single brand page with multiple locations. It also doesn’t allow a non-verified Local Page to be converted. Local page followers, posts, and review responses are not transferred. Brand page features like story, tagline, and links will no longer be displayed. After combing the local listing with your brand page, the previous local listing page will be renamed “Backup Page Name” and ceases from being listed in Google Maps. Google help does a decent job of explaining how to connect your Google+ business page to your Google Maps listing. TIP: You must be the owner of the both the Google Business Brand page and the Local Listing page for Google Maps. You should also verify your listing in Google Maps before combing both pages. Log in to Google+, select Pages from the left-hand navigation ribbon, and click Manage this page on the local page. The local page will look almost the same as your current page. It will include a verification shield next to the name of a page. 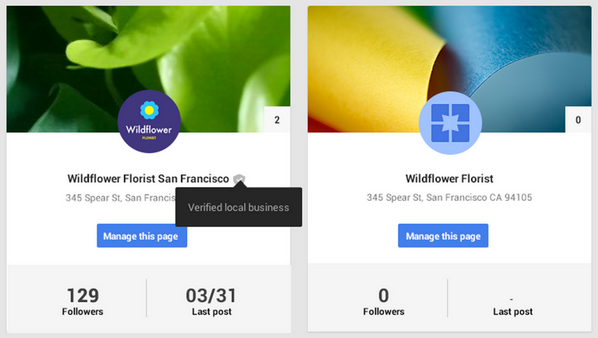 If you hover the badge, you’ll see “Verified local business”. Scroll to the “Profile” section. Next to “This page is connected to Google Maps”, click Connect a different page. In the “Link a different page to this location” dialog, pick the page that you’d like to connect to Maps and click Next. 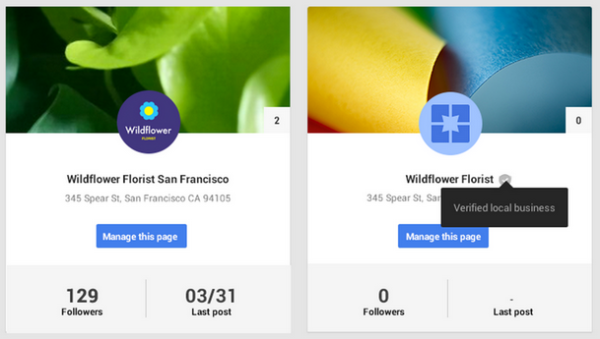 You’ll see a list describing the changes to the newly-created page you’re connecting to Maps, and the local Google+ page you’re disconnecting from Maps. Click Confirm. Make any desired edits to the updated page and delete the previous local page. Look for a similar process to be announced in the next few days to connect Adwords to your Google+ Business page as well.